Visit us regularly to read about out upcoming concerts. If you would like to book the Ythan Singers for a concert, then please email us. Interested in joining us then read all About Us and get in touch. 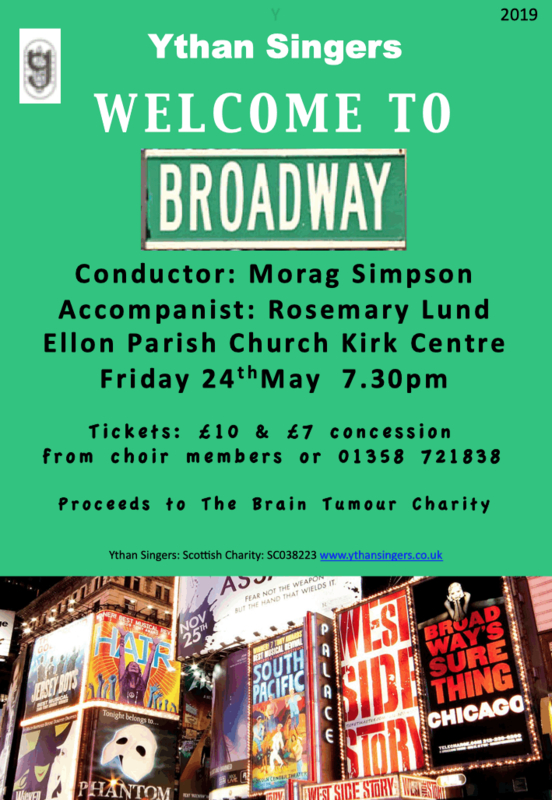 Come along and enjoy an evening on "Broadway". All proceeds from the evening will be donated to The Brain Tumour Charity. 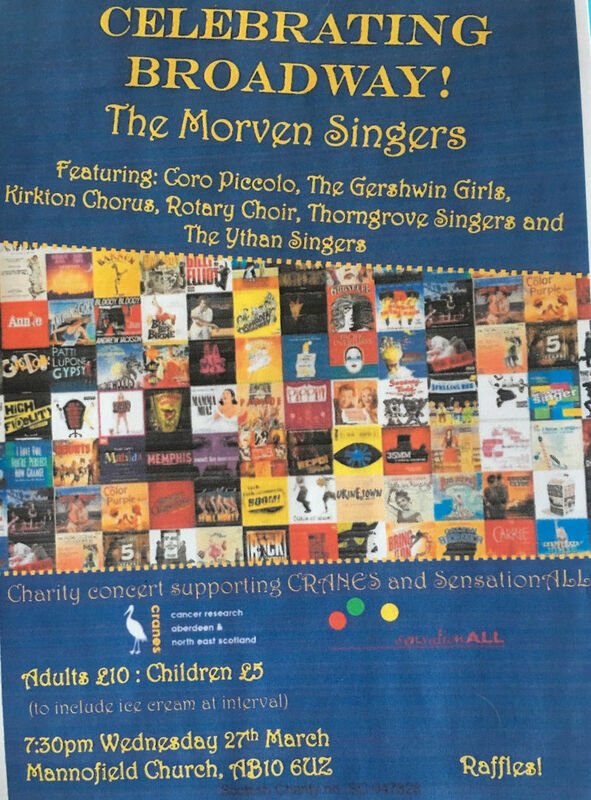 Our latest concert was held on Wednesday 27th March 2019 in Mannofield Church, Aberdeen, singing a selection of Broadway Music. The Ythan Singers’ Christmas concert is on Sunday 9th December at 2.30pm in Ellon Parish Church. It features many Christmas favourites including “The Huron Carol”, “In the Bleak Mid-winter”, the “Nativity Carol” and “Stille Nacht” but also some new additions to their repertoire; “Lo How a Rose E’er Blooming”, and “The Twelve Days After Christmas”. The audience will also be able to join in with well-known carols. The concert will be conducted by Morag Simpson and accompanied by Rosemary Lund. All are very welcome and it is certainly a concert not to be missed. There will be a collection on the door for the charity “toilet twinning” (www.toilettwinning.org) which is a water and sanitation initiative. After the concert everyone is welcome to join the singers for tea/coffee/mince pies and shortbread. To a packed audience in the Ellon Parish Church Kirk Centre, the Ythan Singers’ Summer Concert opened with “It’s a “Grand Night for Singing” by Rodgers and Hammerstein. The first half included an American section and ended with a tour of London. In the second half the audiences’ feet were tapping to Irvin Berlin’s “Alexander’s Ragtime Band”. The cabaret section opened with a great performance by Christine Cruikshank and Moira Longstaff who “strolled up the avenue” as “a Couple of Swells”. Frances Morrison, Jennifer Strachan and Hazel Wilkins, complete with Japanese wigs, sang “Three Little Maids from School” but the shining performance had to be the men of the choir dressed as policemen who were “unhappy with their lot!” singing “When a Felon”. They definitely outshone the keystone cops! The night ended with a medley of songs from “My Fair Lady”. The last piece from this selection was Alison Young’s favourite piece “I Could Have Danced All Night”, which she remembers her grandmother singing to her. 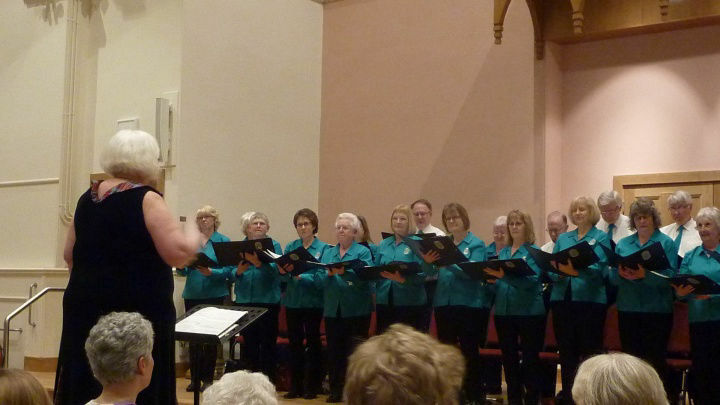 The concert was conducted by Alison Young and accompanied by Rosemary Lund. 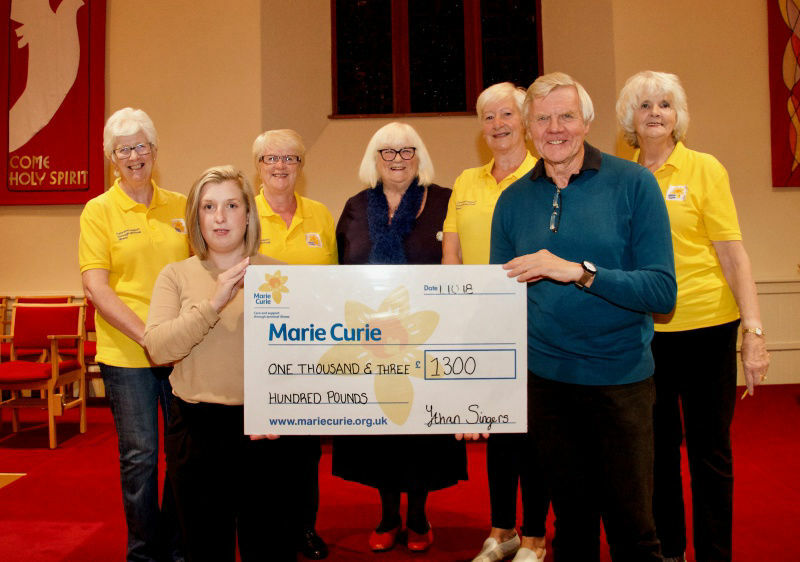 The choir would also like to thank everyone who came to the concert for their tremendous support both with their appreciation and for raising over £1200 for the chosen charity; Marie Curie. 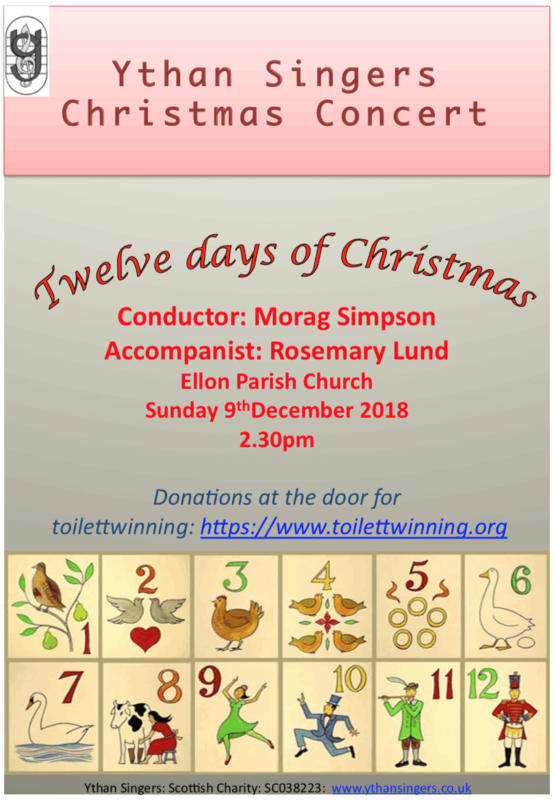 Monday 11th December in Ellon Parish Church. The Ythan Singers’ Christmas concert began with John Rutter’s wonderful “Magnificat”. The whole choir had spent the last few months working incredibly hard with Alison Young and Rosemary Lund to produce a performance of which they could be really proud. The performance also included beautiful solos from Jennifer Strachan and Hazel Wilkins. The second part was made up of many Christmas favourites including “Ding Dong Merrily on High”, the “Nativity Carol” and “In the Bleak Midwinter” which featured soloists Jennifer Strachan and Jean Stevenson. Ythan Singers’ very own quartet led by Carole Addison again produced a Christmas musical gem. The audience joined enthusiastically in Carols for All. The collection on the door for the charity “toilet twinning” (www.toilettwinning.org) raised £345. The Ythan Singers would like to thank such an appreciative audience for turning out on such a cold snowy night. At their rehearsal on Monday the Ythan Singers were delighted to present a cheque for £900 to Ellon First Responders. 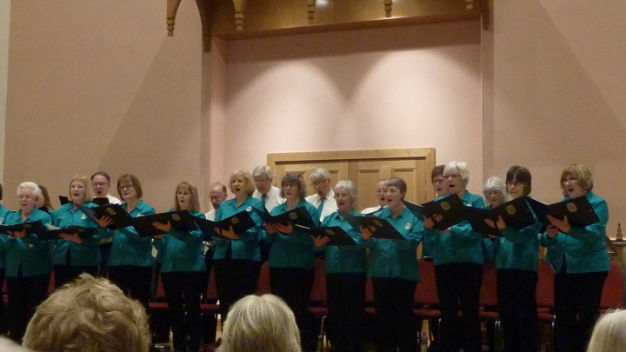 The money was raised at the choir's summer concert in June and will help this new group, whom the Scottish Ambulance Service describe a Community First Responder as a member of the public who volunteers to help their community by responding to medical emergencies while the ambulance is on its way, with equipment. 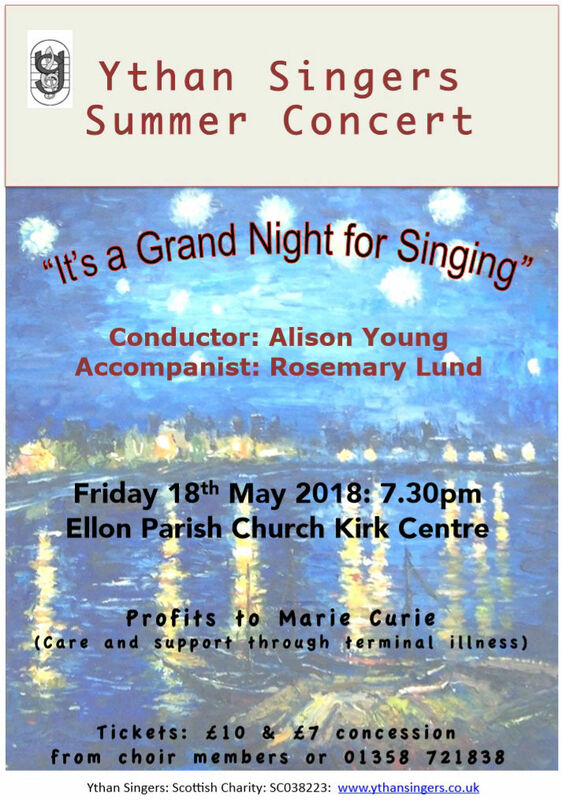 The June concert was conducted by Mrs Alison Young who took up the post of Musical Director for the Ythan Singers after Christmas. 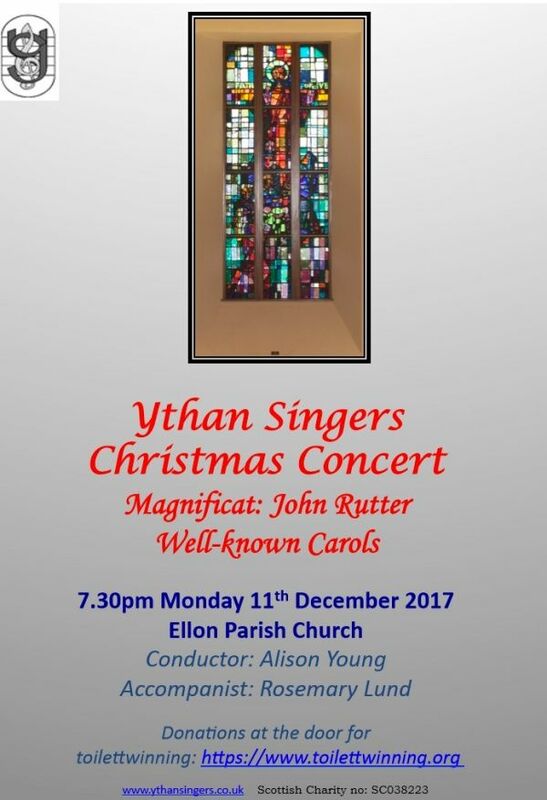 The Singers are now rehearsing for their Christmas concert on December 11th at 7.30pm in Ellon Parish Church and features John Rutter's Magnificat and a selection of Christmas music, including some well known and well loved carols. 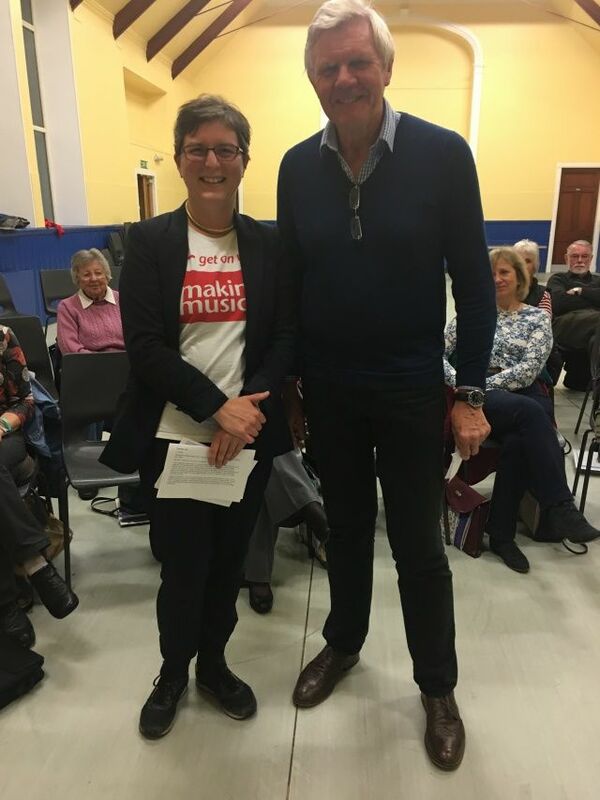 Alison Reeves of Making Music recently visited Ythan Singers, pictured here with Chairman Brian.